However, the competition is stiff regardless; Princeton’s stunning gothic architecture and stellar academic reputation draw tens of thousands of applicants each year. Last year, 29,303 students vied for 1,894 spots in the Class of 2020, resulting in an acceptance rate of 6.46%. It goes without saying that students hoping to one day call themselves Tigers must do an exceptional job of setting themselves apart from thousands of other applicants. While strong grades, high test scores, and well-developed extracurricular activities certainly are important, nowhere in an application does one’s individual voice shine through as clearly as in their essays. The only problem: How can you write an essay for your Princeton application that demonstrates your accomplishments, communicates your passion for Princeton, and exhibits a clear personal voice and style — all wrapped up in a tiny word count? Check out our guide to answering the 2016-2017 Princeton University supplemental essays. The challenge of this short essay prompt lies in the brevity of its expected answer — you need to craft a compelling response with very little wiggle room. Additionally, when choosing which extracurricular activity to write about, you should strive to strike the perfect balance between “unique” and “meaningful to you.” If your topic is incredibly unique but you don’t care about it, you might paint an inaccurate portrait of who you are. Conversely, if your topic is bland and exceedingly common, you might want to reconsider dedicating an entire essay response to it on your application. In the case where you don’t necessarily have any uncommon extracurricular activities to choose from, consider writing your response creatively — for example, instead of merely describing your activity, why not use an engaging anecdote to highlight your love of the activity? Alternatively, employ a different writing style filled with literary devices to highlight the activity’s impact on you. Either way, the goal should be to stand out. Typically, students tackle this essay more straightforwardly by directly answering the prompt. Again, the key is to be concise, since you can’t afford to be verbose. There are two main ways to answer this question. The first is to describe your summers chronologically, mentioning all the activities you did in each. This style of answer benefits students who have thrilling, jam-packed summers that are best told in a story that builds. The second way to respond is to highlight the most important things you participated in by dedicating more space to them; lesser activities can be used to fill up whatever remaining space you have at the end. Students who focused on a few key activities during their summers should employ this response style. Of course, given that most students answer this prompt in those two typical ways, there exists an opportunity for creative risk. If you feel confident enough in your writing abilities, then it is worth it to attempt a third type of response, one that strays from the beaten path. Beware of cheesy responses that “try too hard” — if your answer looks like it attempted to be different solely for the sake of being different, then you might sink your application. To avoid this, make sure that your creative decision makes sense in the context of what you wrote. A powerful anecdote could be super effective; a poorly executed rap will probably doom your application. This part of the application almost always makes some of our clients nervous, since it is so open-ended. So long as you don’t write anything offensive or morally questionable, rest assured your answers here cannot derail your entire application. The purpose of these rapid-fire prompts is to allow the admissions officers to take a look at a glimmer of your personality. Your answers to these questions will imply certain things about you. For example, a student who answers that their favorite source of inspiration is “Mark Zuckerberg” will seem quite different from a student who answers “Mother Nature.” The prescription, therefore, is to think about what kind of a picture you want to paint to the adcoms, and answer accordingly. Warning: Although certainly all answers have merit, some are suboptimal strategy-wise. Listing “My Gold Medal from the International Physics Olympiad” as your “favorite keepsake or memento” isn’t going to make adcoms want to give your application a second look; instead, they’ll just sigh and roll their eyes (especially considering your Common App extracurricular list already details your achievement quite clearly). Exercise good judgment! 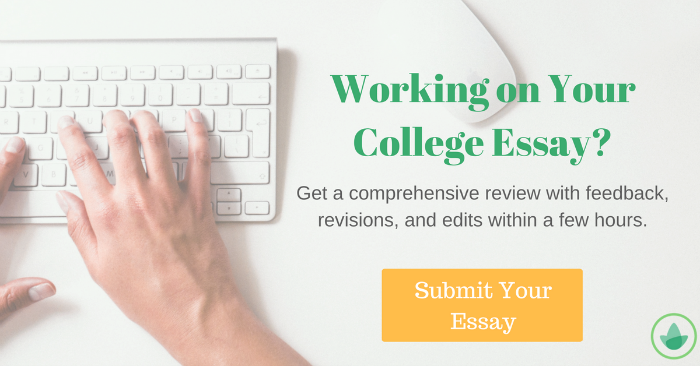 In addition to the essay you have written for the Common Application, please write an essay of about 500 words (no more than 650 words and no less than 250 words). Using one of the themes below as a starting point, write about a person, event, or experience that helped you define one of your values or in some way changed how you approach the world. Please do not repeat, in full or in part, the essay you wrote for the Common Application. The last sentence of the prompt is particularly telling — Princeton wants to learn something completely different about you from the essay you’re about to write. Therefore, try not to touch upon any of the same themes that you’ve already written about. With that in mind, let’s explore each of the prompts individually. When answering this prompt, it is critical that you remember that the person you choose will lend insight into the kind of person you are. This is particularly true when you choose well-known individuals or celebrities. For example, if you choose entrepreneur Elon Musk, then it can be assumed that you are interested in business and one day aspire to be like him. If you choose someone like Warren Buffet, then it might be assumed that you are interested in finance or strive to emulate his patient, self-confident demeanor. When you choose well-known individuals, these character traits can be inferred immediately just by reading their names. However, choosing celebrities isn’t always the best choice unless they’ve really, really influenced your life in a way that’s out of the ordinary. For example, even though he might be your hero, Elon Musk has influenced a lot of people — just ask anyone in Silicon Valley what they think of him. When you remember that the goal is to set yourself apart from your peers, suddenly choosing someone that hasn’t influenced you in a truly unique way becomes kind of unappealing. Therefore, choosing someone closer to you might be a better strategy. No matter whom you choose, you must remember that whatever you write about them, you are essentially saying those same things about yourself. So if you choose your father because he is a man of moral values (as evidenced by the fact that he could not tell a lie about chopping down a cherry tree), then you are essentially telling Princeton that one of your personal values is honesty. Use this to your advantage in conveying what matters to you most. By striking the correct balance between talking about your role model and yourself, you can achieve the perfect balance of self-divulgence and humility. Finally, as far as strategies for approaching this prompt go, an anecdote might just be your best bet. This prompt lends itself especially well to a more academic analysis of political issues that are most prominent today. Indeed, it can be highly rewarding to analyze either a domestic or international issue because it will allow you to demonstrate your knowledge of the world. However, remember to bring yourself into the analysis — in stating your position on the situation, what does that say about you? The issue you are discussing is undoubtedly complex — from which perspective will you discuss? Whatever you answer, be cognizant of the fact that you are still talking about yourself. Another way to approach this prompt is to discuss a morally gray position that you have found yourself in the past. Perhaps you weren’t sure whether a decision would be right or wrong, and on top of that, you also weren’t sure if doing the right thing would benefit you in the end. It would be valuable to discuss your mindset and reasoning when recounting what occurred in the end. However, one warning regarding taking this approach the essay — because the quote mentions “one of the great challenges of our time,” you should be sure to pick a situation that is adequately severe enough such that it fits the tone of the quote. If you pick something a bit on the insignificant side, then you run the risk of seeming immature. Finally, don’t be afraid to tell a story where you made the wrong choice. It can be very refreshing to see a great applicant demonstrate humility and maturity by talking about how they learned from their failures. – Woodrow Wilson, Princeton Class of 1879, served on the faculty and was Princeton’s president from 1902–1910. For students with a proven track record in community service, this essay prompt is right up your alley. Use this prompt to talk about how you were able to help out your community; indeed, the word “nation” need not be taken so literally, so long as you can demonstrate that your actions had a sizable impact on a group of people. However, if you are a student with an interest in politics or international relations, then this prompt can also be used to your advantage. Use this essay to talk about your experiences in working for the government or the UN, or talk about that one time you were able to analyze another country’s political situation from a different lens. – Gideon Rosen, Stuart Professor of Philosophy, chair of the Council of the Humanities and director of the Program in Humanistic Studies, Princeton University. This essay prompt lends especially well to applicants who have strong cultural backgrounds. In particular, children of immigrant parents have a powerful story to write — so long as they can include specific details as to why their immigration story is unique to them. Feel free to talk about how cultural customs, celebrations, or wisdom has shaped your life for the better. Even if you aren’t from an immigrant background, you can still approach this essay. Perhaps you come from a multicultural, diverse hometown — how have the people you encountered changed you? Maybe you are particularly interested in various aspects of pop culture — has any particular piece of work affected you on such a basic level that it has come to represent who you are? There are many varied, interesting ways to approach this essay; indeed, such is the nature of culture. This prompt is basically Princeton’s way of providing you with an option to write any essay you please — as long as you choose a quote that adequately fits that essay. If you decide on this option, try to choose a quote that has a similar tone and level of meaning as the ones provided to you above. Bonus points if your quote is Princeton-related—it won’t really give you a huge advantage by any means, but it will definitely show off your love of the school if you can find one. Either way, once you have your quote, feel free to use an essay from another school’s application here. You’ll save lots of time. Hopefully, armed with our guide, you feel prepared to write a Princeton University supplement that will set you apart from the competition.